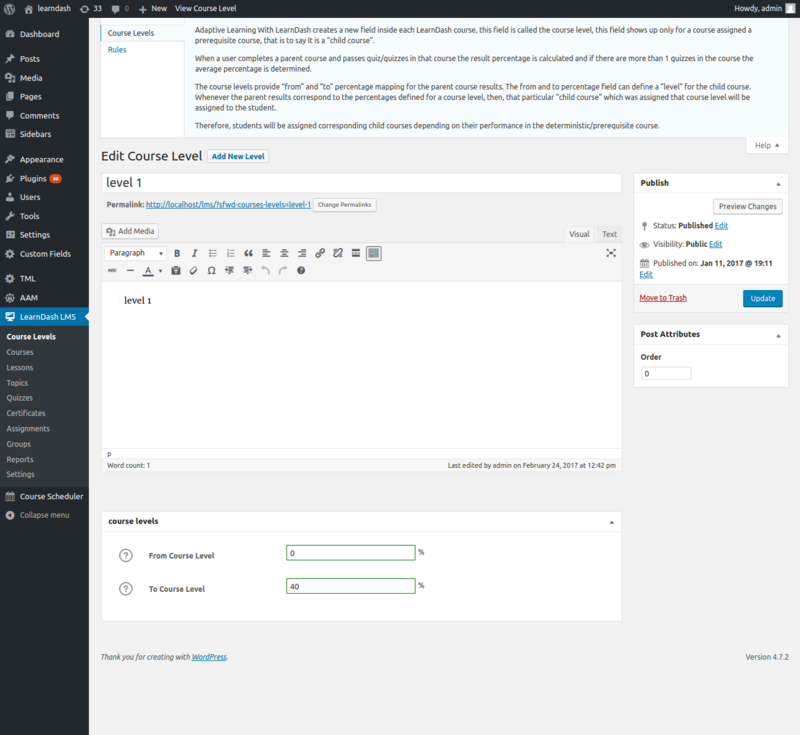 This addon applies the concept of adaptive learning to LearnDash and enables admin to design courses in a non-linear fashion by defining course levels, different child courses can be to the students based on the percentage score and performance in the quiz/quizzes of the prerequisite course. LearnDash already provides the option to make prerequisite courses i.e assign a course as a dependency for other courses. 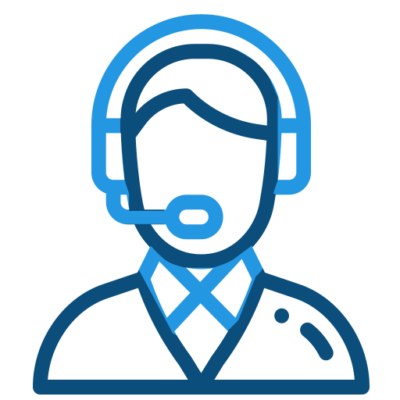 Our add-on exploits this option and enables site admin to think about these prerequisite courses as “parent courses”, and the courses which will be assigned as prerequisites can be considered as “child courses”. Our add-on extends this ability by allowing the pass mark percentage to the results of a quiz to control access to a child course. We refer to these percentages as Course Levels and you can see how that works below.  LearnDash allows there to be any number of child courses for a particular parent course. Our add-on associates a particular “Course Level” with these “child courses“. The course level specifies the range of percentage score obtained by the student in the parent course quiz (or quizzes). 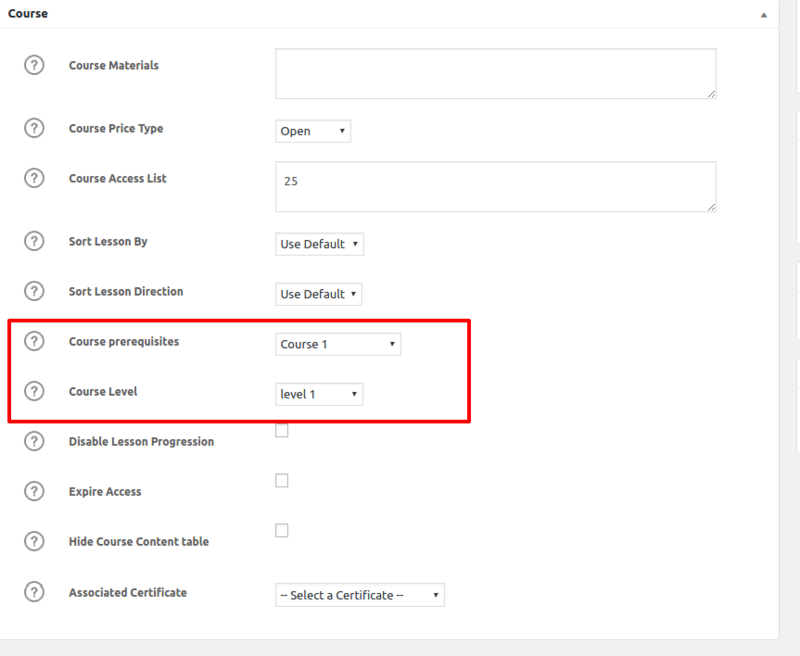 There is an option to specify “from” and “to” field with each Course Level and administrator can create any number of Course Levels to be assigned to child courses. When a student completes a parent course the percentage score in the quiz/quizzes associated with that parent course is/are mapped to one of the Course Levels created by admin. The child course mapped to that Course Level will be automatically assigned to the student based on their percentage score. This enables the site administrator to test the level of the student and make the parent course a “deterministic course” and thus, assign child courses based on the performance in the parent course. When a student completes a parent course and any one of the child course is assigned to them based on the Course Level, this information is saved on the user profile page and the administrator can view this info on the user profile page to track the progress of students in respective courses. 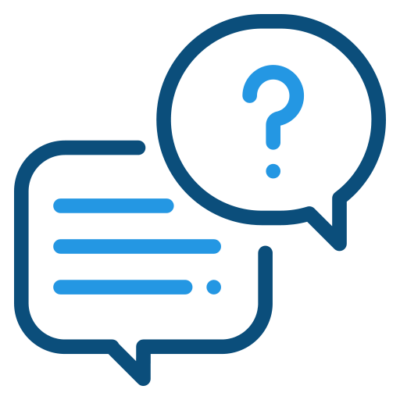 Note: The child courses should be set as “closed” course type so that only the particular child course matching the Course Level based on the score is assigned to the student and all other child courses would remain inaccessible. The plugin is available for free on the WordPress repository. 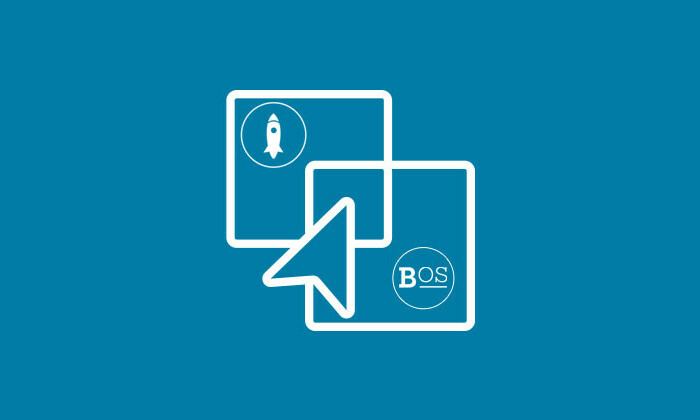 With this add-on, you can purchase the EDD downloads by redeeming the BadgeOS Points. You can set the exchange rate for all the downloads or you can set specific to the downloads. 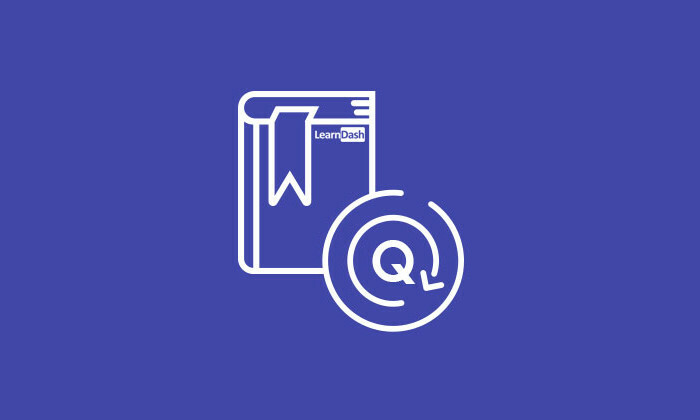 With this addon, you can enhance the functionality of LearnDash Quizzes. So that a user can retake the quiz unless all the questions are correctly answered. Only the incorrect questions will show on the retake. With this addon, you can now award the achievements and badges based on the LifterLMS activities. With the LifterLMS EDD Integration, users can now enroll into the LifterLMS courses and memberships on the purchase of an EDD download.